a bluebird in our back yard last evening...he is singing his song hoping to attract a mate! Worry is such a waste of our lives. Trying to figure out how to deal with things that might be a problem in the future, is taking a step in the direction of creating the very situations that will have to be dealt with (if they do occur). Worrying about tomorrow also takes the life out of today. What is there to be hopeful about right now? What is good about this moment? So, the worrying I endured fended off the evil, right??? Sorry, I’m being facetious. I’m a definite worrier, and I defend myself to those who pooh, pooh, the worry, (my husband), by pointing out all the awful things that didn’t happen because I worried sufficiently to keep them away! Today I will think of your beautiful bluebird whenever I catch myself worrying! My life story told in four lines by Emerson. Ah Mary…..how do you tune in like this every day? in your own back yard.” She came home to visit and passed away suddenly. Your picture made me think of her and say a prayer. Lillian, I am so sorry for your loss. Losing a sister is so hard, I know. But now whenever you see and hear a bluebird, I hope you hear her telling you to be of good cheer. She is near, Lillian. Love to you. Oh Lillian, you gave your sister such a lovely gift, and I daresay that she will be watching over you in tyhe persona of every bluebird that comes your way. So sorry that you had to lose her in the way that you did. I send you prayers, love and peace. I am sorry for your loss Lillian. I will also say a Prayer for you and her. 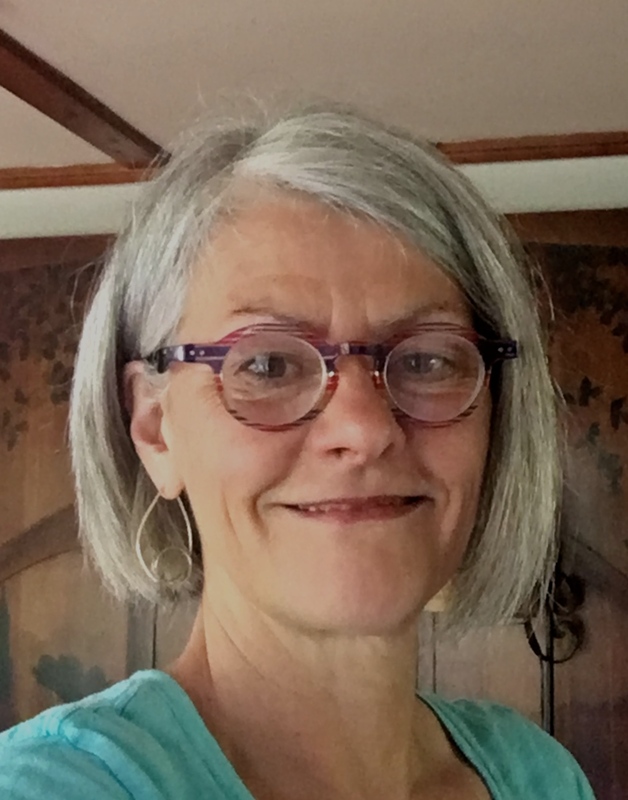 I loved the blog today Mary. 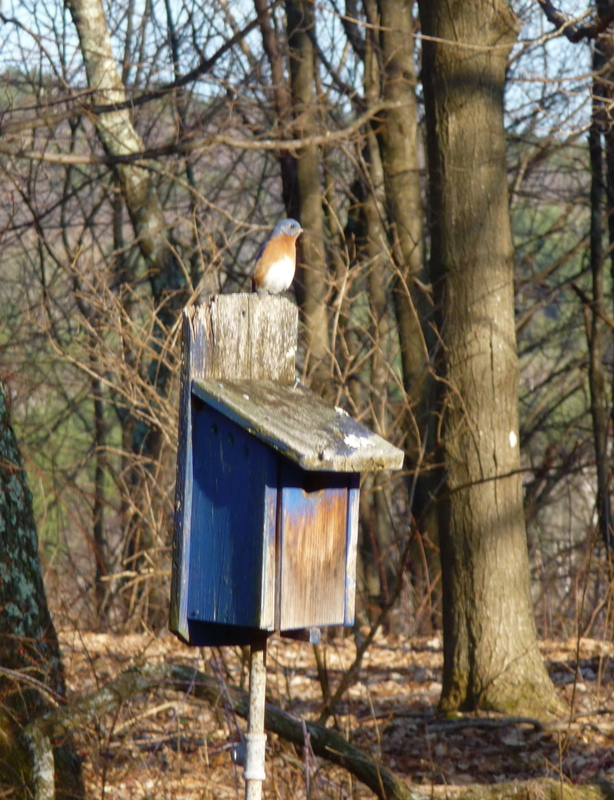 Very thought provoking….Loved the photo with the male bluebird . My friend and I are avid birdwatchers all year long. I have spent way too many hours, days, great amounts of time, worrying about things that never came to be. What a waste. Hard to keep that little worry bug out of my thoughts but I am getting better at chasing him way! It serves no purpose. Thank you Mary for continuing words of wisdom! Me too JoAnne. Great words Mary and so true. A Chelsea Pensioner got it right when she said she thinks ‘oh good, I get to see another day’ when she wakes up. Wise words all round. We are back from our 10 day odyssey in Philadelphia where I developed the mantra: Focus on the “Now” not on the “How”. It stood me in great stead, with the many obstacles we had to deal with. It hasn’t always been this way for me – quite hard won – to say the least, but a commitment to practice focussing on the positive every day – in spite of many backslides to be sure, I see that I have made progress- and most importantly, my family has felt the effects of it as well. Mary, I so love how you tie in your photos with your messages! I have a ceramic bluebird sitting on a shelf nearby – I know now I will always think of it with today’s message. No worries. Enjoy this day. I am sipping my tea and feeling enveloped in the love we all share here at White Feather Farm. This is lovely, Susan. Now I will be keeping a closer eye open for bluebirds! Thank you for posting this. Mr. Bluebird on my shoulder. It’s the truth. It’s actual. What’s good about this moment?? Why, just sharing it with all of YOU! And we LOVE that you share with us, cheryl b. by-the-sea! You always bring something special. You just seem to know. Thanks Mary. I, too, have a glass bluebird on my mantel – a very special gift from a friend who was moving fifteen years ago. Last week I found a bonanza of three more at the thrift shop. I’m trying not to collect more dust catchers however, bluebirds of happiness always make me smile. Between my next door neighbors and me, there are 14 bird houses in our connecting yards. Last year we had two nesting pairs of bluebirds and are hoping to have more this year. You are fortunate to already have one, Mary. I am thrilled to wake up to the song bird choir every morning now that spring is on the way. I come from a long line of worriers…..so it has come naturally to me in the past. Worrying is a very difficult “habit” to break…..but I have a very special new love in my life who helps me every day to live in the moment and not worry the beauty of the day away. I am thankful for her love and support….and thankful to you, Mary, for your messages. I have never seen a bluebird except in this photo. I don’t know if they live/nest in the Cleveland, Ohio area or that I just have never noticed. Lovely photo and lovely, thoughtful sharing from all. Thank-you Mary. I needed to read these words. You’ve helped me once again. I am so happy to have our birds back. We have several feeders,a hummingbird feeder, and birdhouses. The binoculars are back on the kitchen table! When my daughter was in grade school, she wrote me a beautiiful note. I have kept it for 30 years. I do not know the author. I’m not familiar with this quote from Ralph Waldo Emerson…how very powerful!! !